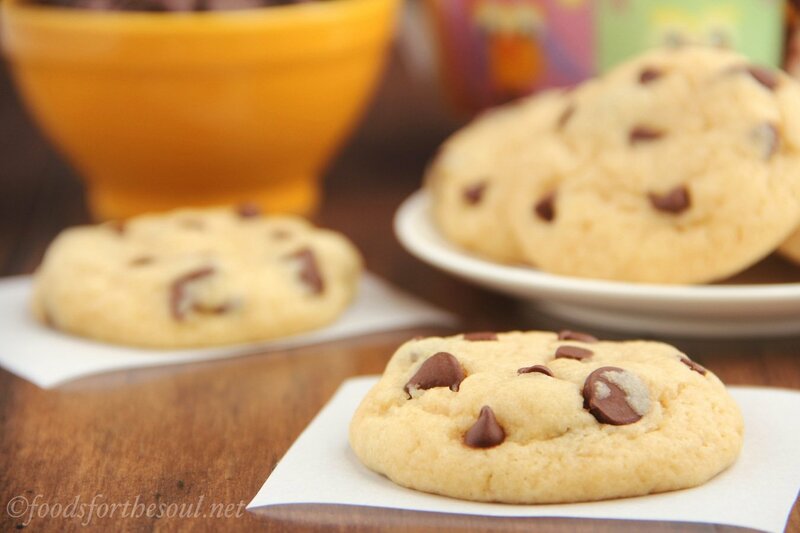 Classic buttery chocolate chip cookies that are secretly skinny! Low in fat and calories without sacrificing any of the flavor or texture. Despite the porcelain Peter Rabbit cookie jar prominently displayed on our kitchen countertop, Mom only preheated the oven once every month or two to fill it with homemade treats. Instead, she dropped Little Debbie chocolate snack cakes or oatmeal cream pies into our insulated lunch boxes for our desserts at school. 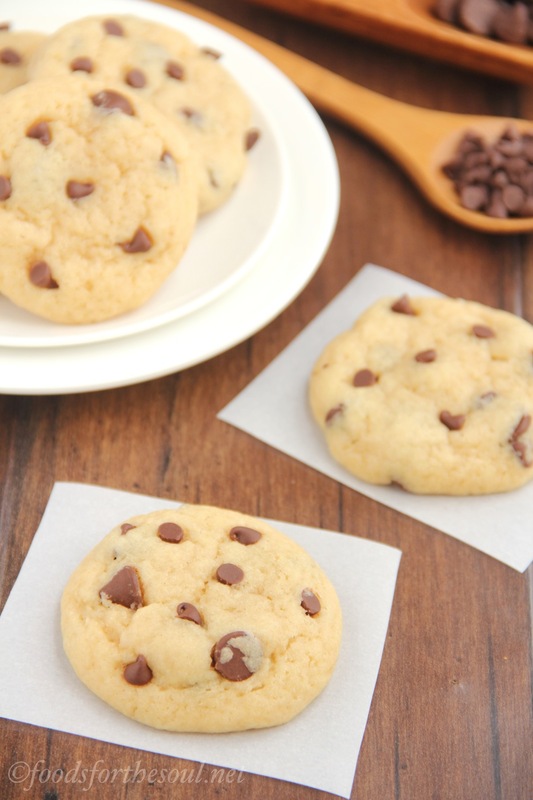 But on the rare occasions she plugging in the handheld electric mixer to cream butter and sugar, she always turned to the Nestle chocolate chip bag as her recipe. My younger brother and I anxiously hovered in the kitchen, pleading to help place spoonfuls of dough onto the stained baking sheets. We needed to supervise the bowl as she scraped and shaped. Make sure to leave some for us, Mommy! Sitting cross-legged on the tile floor, I drew a line down the center of the wide metallic mixing bowl. I smooshed my finger around my half in straight lines to get my fair share of the “leftover” cookie dough, while my brother haphazardly scraped his side in squiggles and circles. Mom generally pretended to forget about a couple of chocolate chips in the bowl too, and we divided those evenly, sneaking an extra one from the bag if necessary to even our shares. When the timer dinged and Mom granted us permission, we grabbed a warm cookie from the cooling rack and sank our teeth into the soft dough. Melted chocolate oozed across our fingertips, which we happily sucked off before reaching for more. Eight years later, as a high school freshman in Health Class, I stared at the Food Pyramid as I soaked up the teacher’s lecture. Less sugar… Lower fat… Sweets in moderation… That afternoon, I eliminated the Tollhouse recipe from my repertoire and vowed to bake only healthier low-fat cookies. In the ensuing decade, I realized one fatal flaw: most low-fat cookies didn’t feel right. 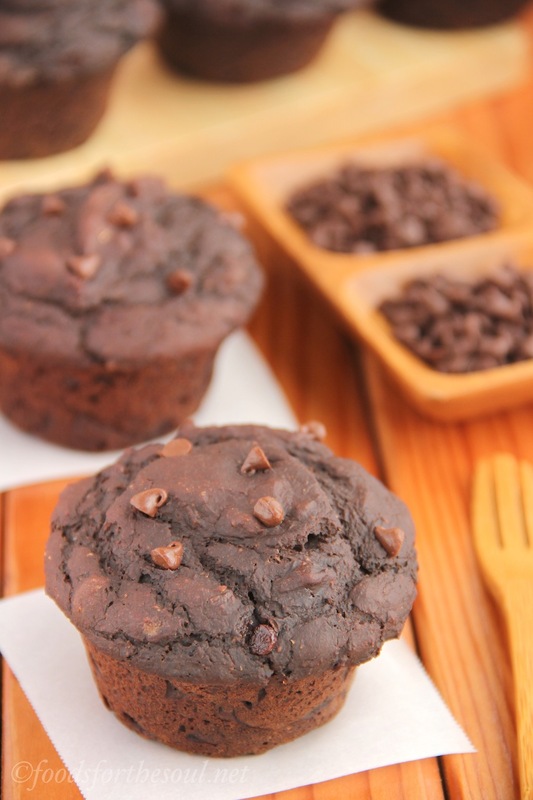 With proper ingredient ratios, they could taste as rich and sinful as their indulgent counterparts, but their texture fell closer to that of a cake-like muffin than a soft and chewy cookie. So 2 months ago, I challenged myself to create the ultimate healthy soft and chewy chocolate chip cookie. After 7 different batches, my 10 taste testers agreed: this is it! 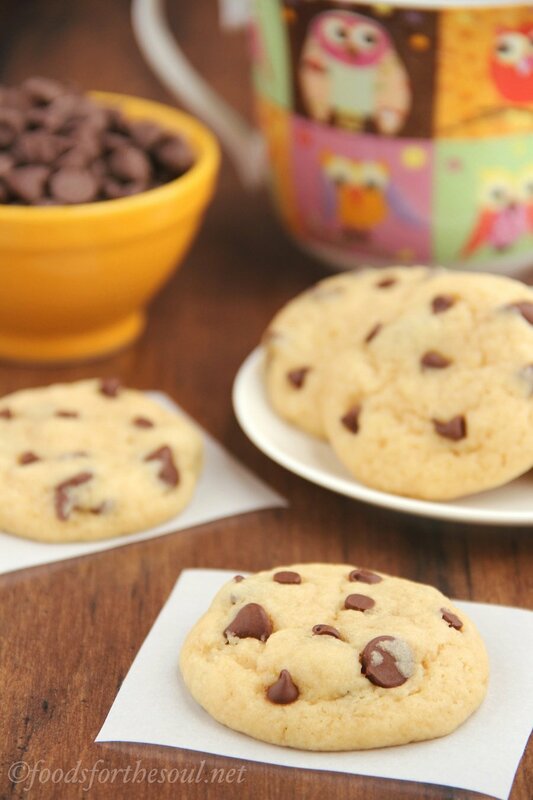 I started with the butter because it was the biggest obstacle in developing a healthy chocolate chip cookie recipe. After countless tweaks, I noticed a trend. 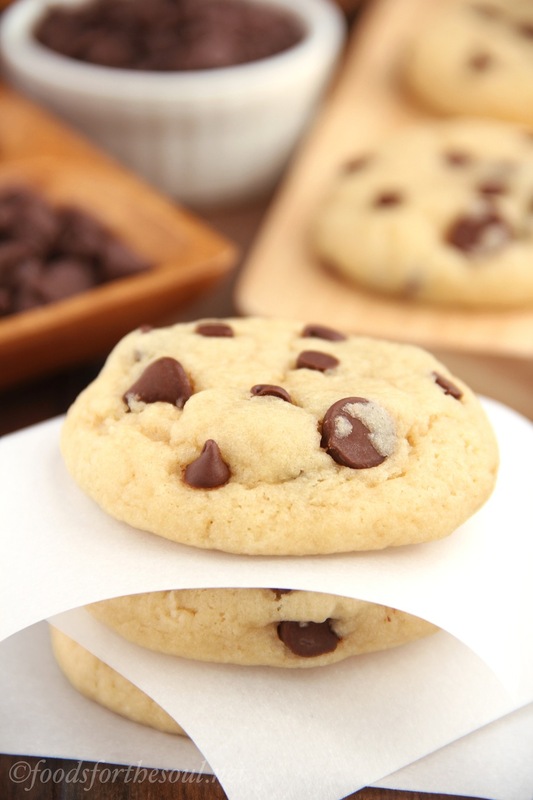 To achieve a chewy texture, the cookies needed a minimum of 18% of their calories to come from butter (or margarine). Anything less resulted in a bready muffin texture. Six tablespoons for 2 dozen cookies provided the perfect amount of chew. To further increase their chewiness, I used melted butter. This means you can stir the cookie dough together with a spoon. No electric mixer required (and one less thing to wash)! 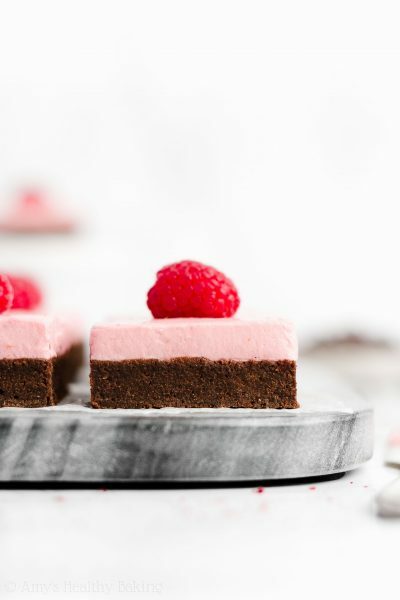 Although other bakers and bloggers proclaim that extra egg yolks also increase cookies’ chewiness, I completely eliminated them and just added egg whites to lower the fat and cholesterol. Don’t worry, the cookies will still be chewy! We started with the perfect amount of melted butter, remember? Make sure your egg whites are at room temperature! If still cold from the fridge, they’ll chill the melted butter and partially turn it back into a lumpy solid. Not good! To warm up your egg whites the easy way, place the entire egg in a bowl of warm water for 5-10 minutes while measuring the dry ingredients. I also mixed in a touch of skim milk to increase the moisture and better balance the liquid-to-dry-ingredient ratio. 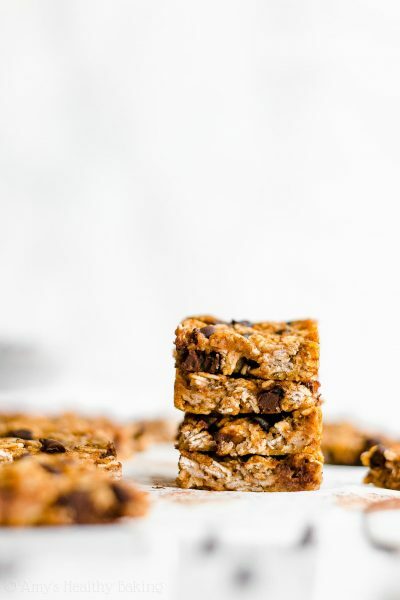 Feel free to substitute whatever you usually store in your fridge: 1%, 2% whole, rice, almond, soy… We want to keep these cookies simple so you don’t need to buy any strange new ingredients! We’re going to add more vanilla than most recipes require. Extra vanilla mimics a buttery flavor, without the excess fat and calories. 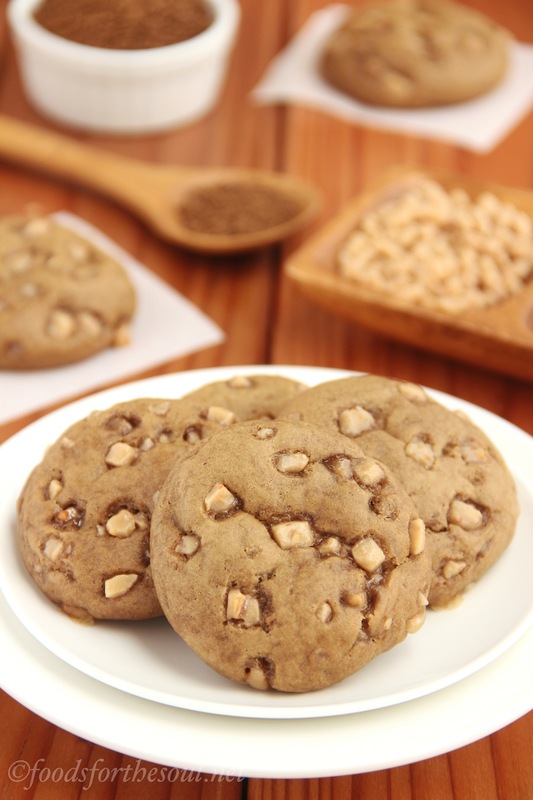 You’ll need 4 teaspoons for these healthy cookies. As you probably predicted, I reached for regular all-purpose flour for this recipe. It is imperative that you measure the flour correctly (see here for details). Adding too much results in dry, crumbly, muffin cookies instead of the extra soft, extra chewy ones we want. Sprinkle in a little salt for flavor, and you’re all set! Finally the most important part: the chocolate chips! 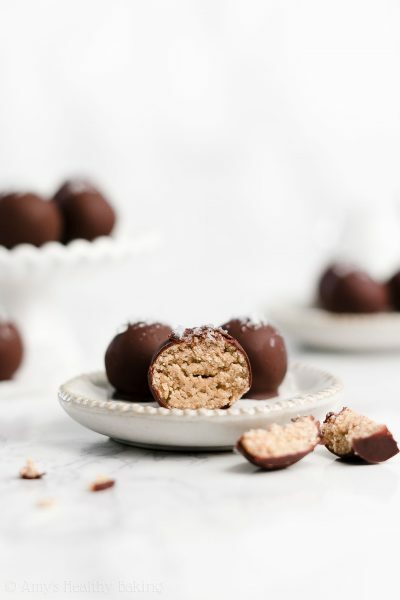 My tongue dances and my eye roll back in my head a bit every time my teeth hit a large gooey chunk of melted chocolate, whereas disappointment sinks in on the bites without. To counteract the latter, I measured out regular semisweet chocolate chips for the big burst as well as minis to ensure every bite contained some chocolate. Most taste testers agreed that they preferred a 2:1 regular-to-mini chip ratio. 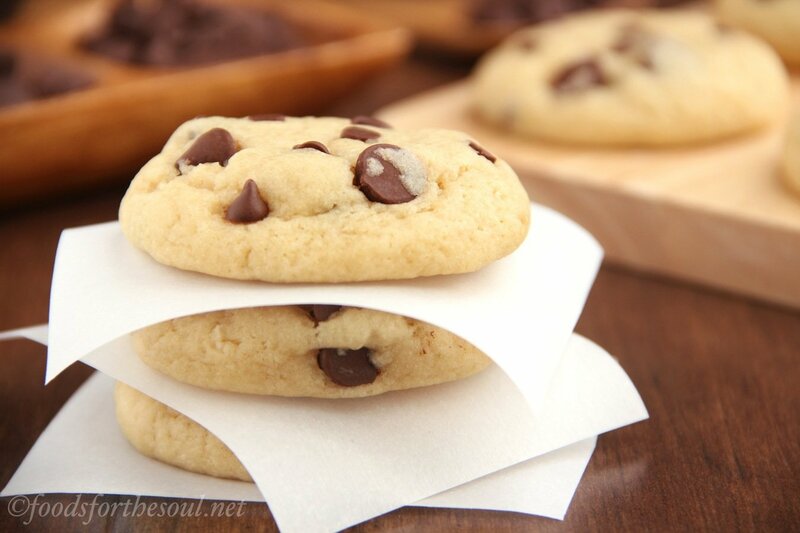 To mix up the dough, simply whisk together the dry ingredients, stir the wet ones in a separate bowl, combine the two, and fold in the chocolate chips. So easy! I usually reserve about half of the mini chocolate chips to press into the tops of the dough just before baking as a pretty finishing touch. They look so tempting—they’re practically begging you to eat one! Before popping in the oven to bake, you must chill the dough. Chilling is mandatory for thick cookies. Try to refrigerate the dough for at least 30 minutes. I prefer chilling mine for 4 hours, but I know that’s a struggle with out-of-control cookie cravings! 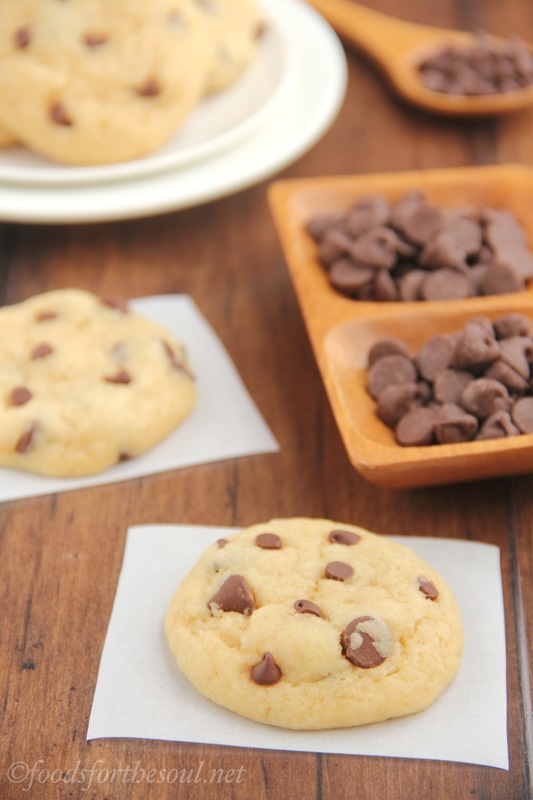 These lightened chocolate chip cookies require barely any time to bake—just 10-12 minutes. They will look and feel slightly underdone, but they’ll continue to cook while sitting on the warm baking sheet. Ready for a tall glass of milk and a big stack of cookies? Psst… My newly released Healthier Chocolate Treats cookbook is full of sweet and healthy recipes like these chocolate chip cookies! Learn more and buy your copy here! 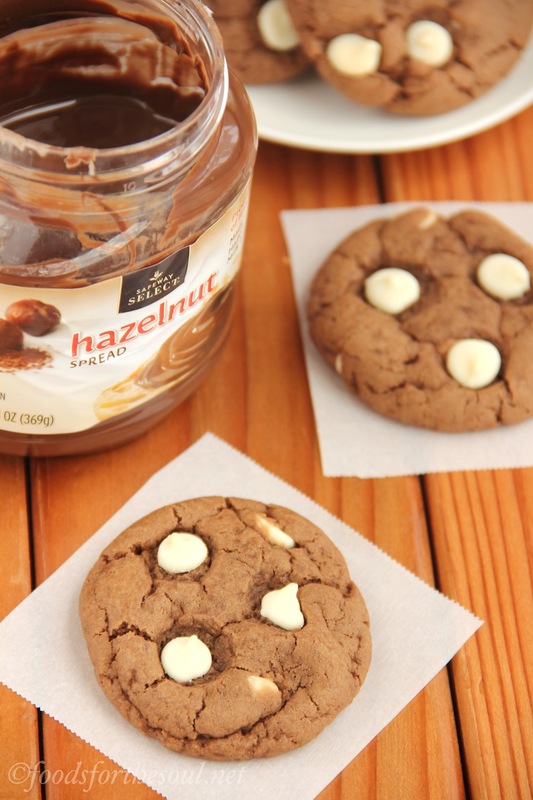 These cookies are so thick and buttery that no one will believe they’re light! They’ll stay soft for a week if stored in an airtight container. Drop the cookie dough into 24 balls onto the prepared baking sheets. Flatten slightly to about ¾” thick. Press the remaining mini chocolate chips into the top of each. Bake at 350°F for 10-12 minutes. 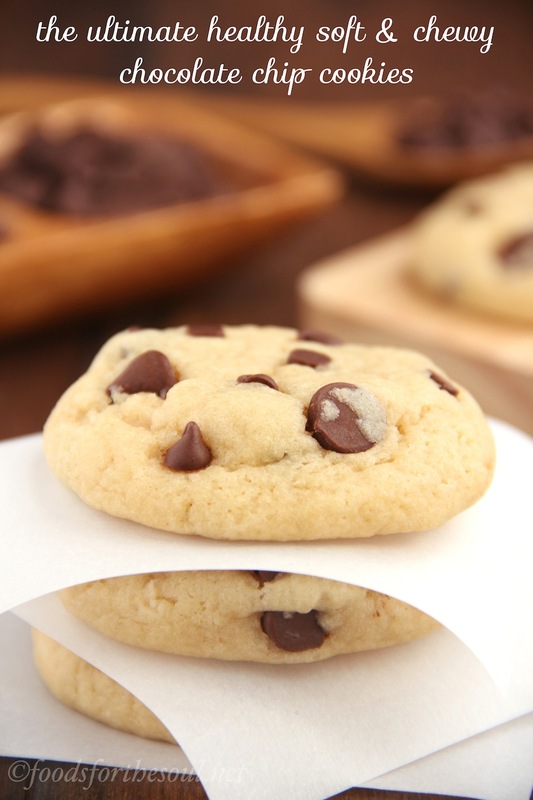 Remove from the oven and allow the cookies to sit on the warm baking sheet for 10 minutes before transferring to a wire rack. Do NOT overbake these cookies! After 10-12 minutes in the oven, they’ll still look and feel slightly underdone, but they’ll continue to bake and set on the warm baking sheet for the 10 minutes after. 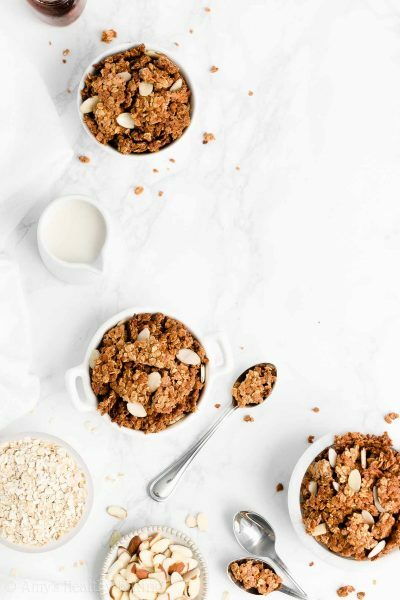 For a vegan version, use coconut oil or margarine in place of the butter, 1 tablespoon Ener-G + ¼ cup warm water in place of the egg whites, and non-dairy milk in place of the skim milk. 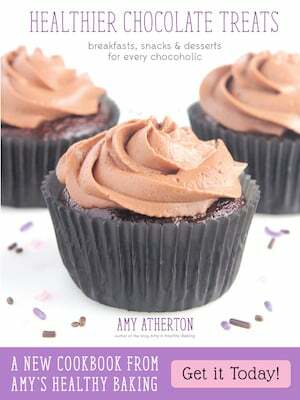 For a gluten-free version, see this recipe of mine. It's extremely important to measure the flour correctly, using the method outlined in the links above or a kitchen scale. (I highly recommend a kitchen scale! This is the one I own, and it has been the best $20 I’ve ever spent. I swear by it!) 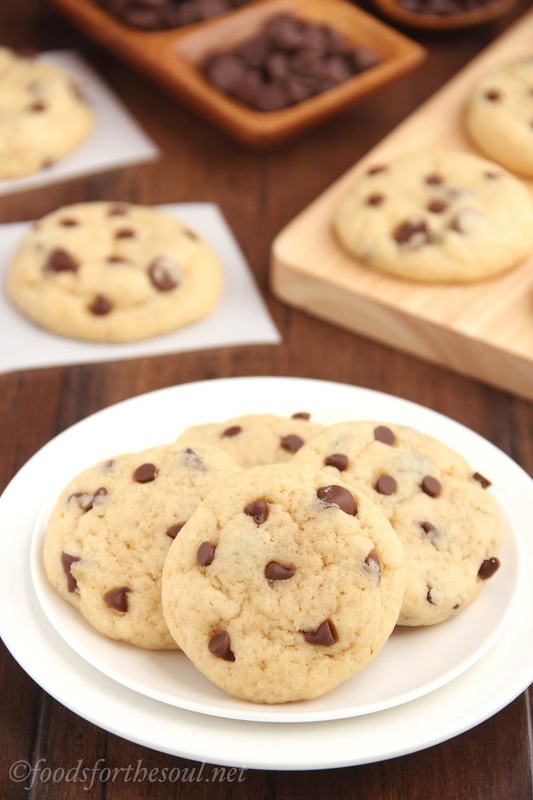 Too much flour will make your cookie dough dry and your cookies turn out cakey or crumbly. 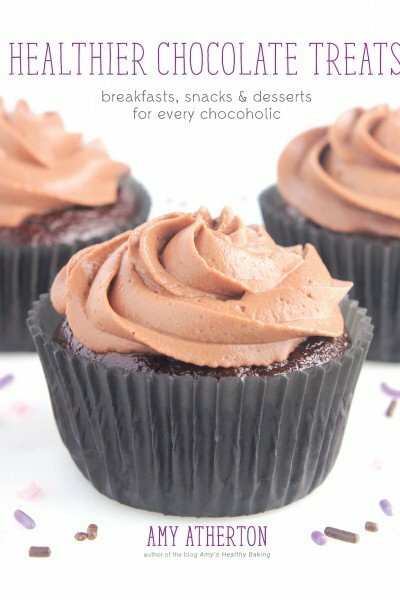 For a more decadent treat, I highly recommend using these dark chocolate chips in place of the regular chocolate chips! Hi, Amy! These cookies look gorgeous! 🙂 I want to know if the texture will be as good if I use a whole egg instead of just egg whites. Or maybe use two eggs and eliminate the butter/coconut oil? TIA! I really appreciate your interest in my recipe June! These cookies do require the butter/coconut oil, but you’re welcome to use two full eggs if you prefer. Just reduce the milk to 1 teaspoon to compensate for the added volume! 🙂 I’m excited to hear what you think of them!